Last week I trained a 3rd student, he was making up a unit missed. He had problems during his apprenticeship. Issues with confidence mainly, brought about by continual failure in a learning environment. School, an RTO and at tafeSA too. During an initial session discussion it became obvious that many parts of the practical project had threatened the student and this presented itself in several ways. Many times during training of apprentices I have seen it rear it ugly head, snarl at the world and at me, though I have never felt threatened by it. May be I have just been lucky. That type of reaction demonstrated the power held by learning environments. Environments that seemed in many cases in pre and trade training to skip over the basics in a race towards the more interesting, exciting, academically or socially accepted goals of Completion/Competency. 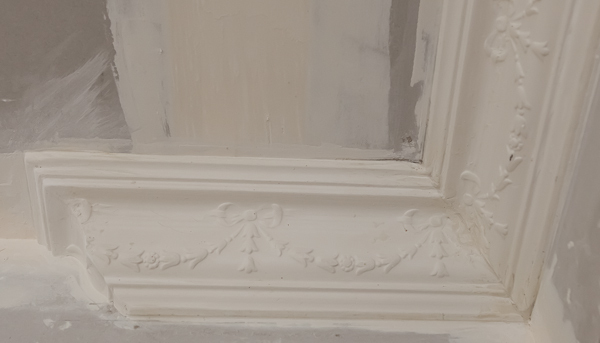 The student had to install some basic plasterboard on walls and ceiling, build a very simple division between to section of the ceiling and measure, mitre and install ornate cornice. 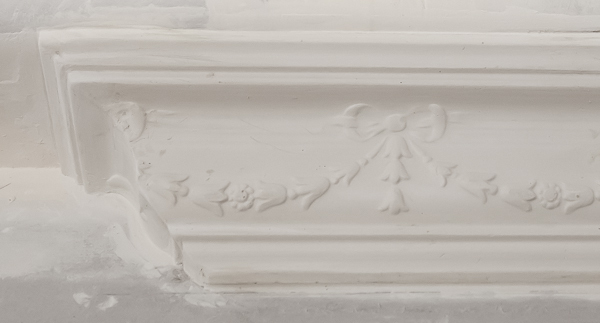 The cornice comes with two patterns one repeating and one continuous. Both cornices needed to be mitred with REM (return end mitres) at each end. The difficulty is to cut the mitres to either Mirror or Match the patterns. 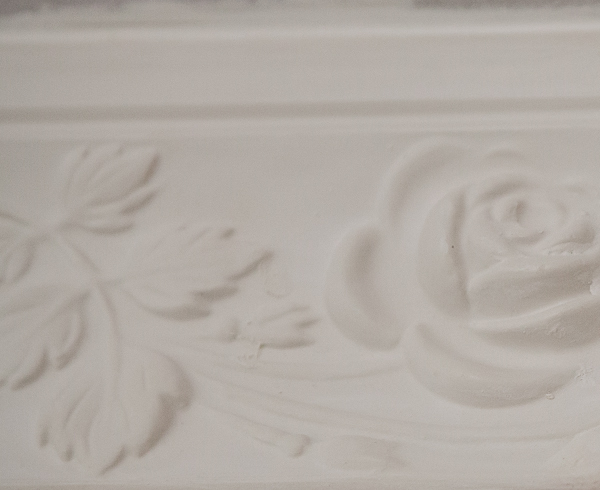 Stop up the mitres and clean up the installation to an industry standard. For a third year apprentice this is required to complete the training and while there is thinking and problem solving to successfully complete. After three years of training this task completes his training should not represent this much of an issue or challenge, but it was. Starting his training with another RTO and then being transferred to us put him at a disadvantage as the basics had been skimmed over in his case and though he is confident in installing sheets, metal trims and flushing, his problem solving and confidence skills were low to fair. It is thinking and confidence that have him stumped. If you can do something but don’t know why you are doing it, it is usually easy to go about your daily business. However when you are presented with a problem/issue/challenge outside your comfort zone you need to know why things are done the way they are, to solve the problem and complete the task. This is where the process fell done here. From the list above you can see they were numerous and varied but not rare and seemingly on the increase. During discussions it became obvious to me that the reason for the unit, the tasks, assessment and competency had not been clearly passed on to the student in the previous session, before commencement of the project and assessment. Explanation of Assessment criteria, methods and outcomes. Demonstration of each cutting technique without pressure and offering guidance not interference and allowance of errors to embed the process into the skills of the students. The project was competed, the end product was above the students expectation and in the reflection session the reasons why things are done became more important to him. Combined with the realisation that he had now completed his training and was all but for paperwork a qualified tradesman lifted his confidence and hopefully increase his appreciation of basic fundamentals, clear Aims, Objectives and Assessment Outcomes has on a tradespersons future outlook. Confidence and guild knowledge are the keys to being a competent tradesperson. The confidence to have a go, the confidence that you can use your knowledge to find the answers and solve the problems that come along when building anything and the confidence to try new things, be interested in your career and learn. This can turn an otherwise ordinary job into a satisfying career. This entry was posted in CB-A, CB-A Project, tafeSA, Training, Wall & Ceiling Lining and tagged Action Learning, apprentices, Assessment for Learning, gilles plains, learning, Picture of Competence, students, tafeSA, training, Wall and ceiling lining. Bookmark the permalink. Great blog here! Also your site loads uup ѵery fast!What host аre yoս using? Can I gеt yߋur affiliate link too yoսr host?